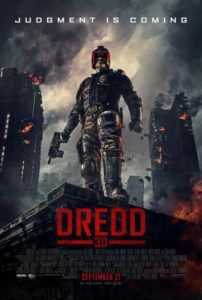 First adapted to film with 1995’s hokey Sylvester Stallone starrer Judge Dredd, the tough British comic book hero receives a drastic shift in quality and tone courtesy of Dredd, a hard-R take on the already ultra-violent source material. 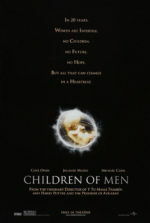 Whereas Stallone’s version sacrificed its edge in favor of its star showboating for the camera and an overreliance on Rob Schneider-brand comic relief, this reboot takes a singularly hard-boiled and serious-minded approach, earning comparison to the elevation from Joel Schumacher’s Batman & Robin to Christopher Nolan’s Batman Begins. 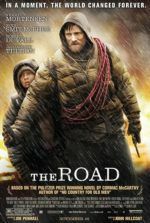 Director Pete Travis and 28 Days Later scribe Alex Garland realize a fascinating post-apocalyptic world with wowing visual panache and an uncompromising attitude. It’s a film that never pulls its punches or winks at itself, and instead follows its hero, the titular no-nonsense badass played by Karl Urban, on a relentless mission that never slows and never fails to deliver bloody, creatively stylized action entertainment. The film follows Dredd, a one-man judge, jury, and executioner in an irradiated future where the population of North America resides in Mega-City One, an overcrowded, crime riddled, walled metropolis outside of which there’s nothing but scorched “Cursed Earth”. As an authoritarian Street Judge, Dredd can issue life or death verdicts without need for courtrooms or pesky protracted trials, and he coldly carries out the law without hesitation. He’s a gruff-voiced, stubble-chinned legend among his own, portrayed with an ever-present scowl by Urban, whose face remains fixed behind his iconic helmet for the duration of the film. Just as in the comic, we never see Dredd’s face, allowing him to represent the black-and-white nature of the law in his dystopian world. Hell, even Robocop removed his helmet. And so, it’s a testament to the film’s unwavering vision that the character remains intact by refusing to humanize him in what might otherwise be an inevitable unmasking. It’s also a testament to Urban, who, in disappearing into his helmeted character, sets aside the usual actor’s need to be recognized by his audience. To counteract Urban’s unshakably stoic persona, Dredd is partnered by academy underachiever Cassandra Anderson (Olivia Thirlby), whom he’s been asked to evaluate. Anderson’s psychic abilities would make her valuable if properly trained, and Thirlby’s personality helps form a pairing that’s more than just a one-note execution machine. 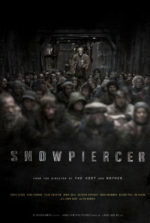 On their first mission together they investigate a triple homicide at Peach Trees, a 200-story high-rise slum ruled by merciless drug lord Ma-Ma (Lena Headey), a former prostitute whose clan has wiped out all other gangs in the territory. Ma-Ma is the sole manufacturer of Slow-Mo, a new drug that makes its users feel as though time is passing at 1% of actual speed. When the judges capture one of Ma-Ma’s top men and intend to interrogate him, she locks down the building and announces to all, her gang members and the dwelling’s residential inhabitants, that she won’t let anyone leave until the judges inside are dead. Dredd and Anderson must fight their way to the top in a scenario not dissimilar to the one in The Raid: Redemption, and like that film, the action proceeds with unapologetic carnage. As the two make their way through hallways monitored by Ma-Ma’s cameras, mowing down goons around every corner, Peach Trees’ spare concrete interior setting is convincingly rendered by production designer Mark Digby and meticulously framed by Anthony Dod Mantle’s cinematography. Forget today’s usual, incomprehensible action movie camerawork, where jittery motions imply action more than portray it. Here, all the many grisly acts of violence are put on display without batting an eye. To be sure, Dredd isn’t for the squeamish—smashed heads, skinned flesh, and crushed throats earn the film’s R-rating. But it’s all choreographed and filmed in unique ways serviced by Garland’s script. Several shootouts unfold from the perception of Slow-Mo users whose perspective comes with a crystalline sheen, complete with oversaturated colors and glittery edges. Much like The Matrix did, this effect lends purpose to slow-motion photography as both a technical and narrative device, whereas so often movies employ slow-mo as visual masturbation. Dredd is also known as Dredd 3D, although I opted to screen a 2D version. This is a choice I regret. The visuals were used to such stunning effect that the mid-air suspensions and bullet-time action sequences may have warranted the 3D surcharge (this coming from a passionate anti-3D critic). Even still, the film works bloody wonders in two dimensions, its color scheme gloomy yet full of industrial greens and reds that lend a consistent atmosphere to the experience. The aims of Dredd are not lofty and won’t satisfy an intellectual audience in the multilayered way Nolan’s rebooted franchise did; however, this isn’t just mindless action either. Dredd eliminates targets with an almost mechanical sense about him, while Anderson’s psychic abilities, her personality, and the dynamic between them enhance the experience into something engaging. Garland’s script respects its audience enough to avoid stopping to explain every device or detail of the film’s dystopia, and the writer doesn’t spoil his characters by adding unnecessary emotional touches. At a tight 98 minutes, every scene feels necessary. The climb-to-the-top scenario and characters are so dogged that, along with its stunning visual flourishes, the film’s form-follows-function approach binds us to the material, rather than keeping us at a distance. There’s undeniable uniformity behind the filmmaking and performances, which action fans can relish. When so many action films rely on shaky camera work and a seemingly rushed assemblage of shots strung together by a wired editor, Dredd is as calculated as its hero.